It was another beautiful spring night in New York City. 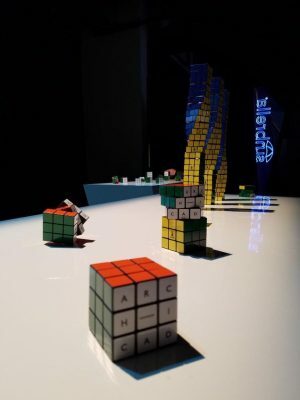 Top creative minds in the fields of architecture, engineering and design as well as developers and journalists from more than 100 countries gathered to celebrate visionary work and leadership that continues to redefine excellence in the industry at the 5th Annual A+ Architizer Awards Gala at Highline Stages. As guests arrived, proudly sporting their achievement in the form of an A+ Award button and pausing for a photo on the red carpet, we couldn’t help but smile. Having won last year for BIMx PRO – we had the distinct honor of wearing the white ribbons receiving our trophy and understood the joy and satisfaction it brings. We offer hearty congratulations to this year’s group of winners. 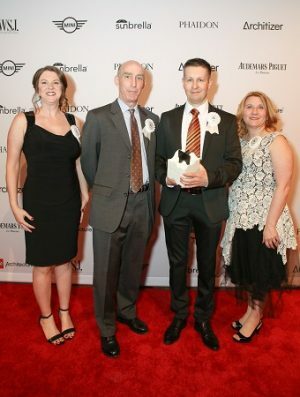 A special shout out to ARCHICAD firm Oppenheim Architecture – who took home two awards. 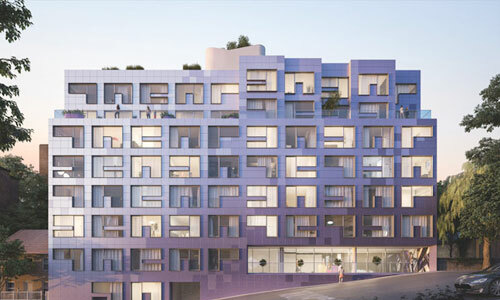 Bridge House in Aspen, Colorado won the Unbuilt – Private House (L >3000 sq ft) category, and Ayla Golf Academy & Clubhouse in Aqaba, Jordan won the Unbuilt Sports & Recreation category. This time around, GRAPHISOFT got to watch the festivities from an official Gala sponsor’s perspective. 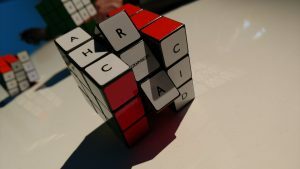 The beloved Rubik’s cube decorated our sponsored corner of the room, as did our award-winning app BIMx – now with added oomph of VR capability via the Google Cardboard. Guests got a chance to experience this technological innovation in BIM with VR and many told us they were blown away by the way it illustrated the design. Again we express our heartfelt congratulations to all 2017 A+ Award winners! 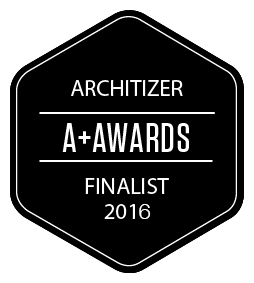 Vote for BIMx PRO in the Architizer A+ Awards! 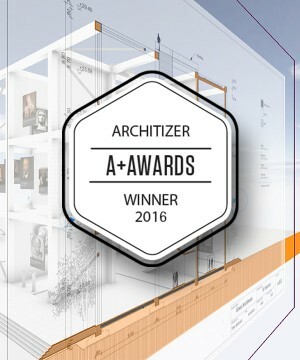 BIMx PRO Wins Architizer A+ Award!